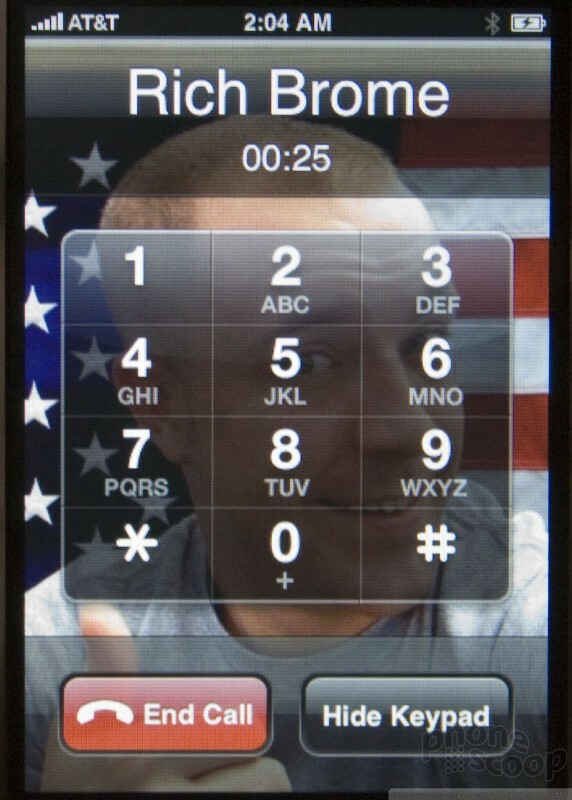 The phone is reached from the Phone icon in the main menu. 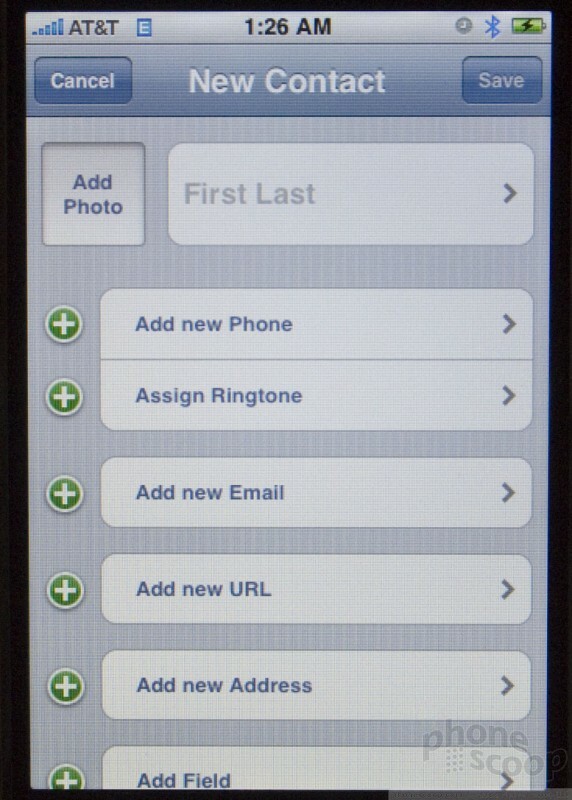 Your contacts are also part of the phone application. 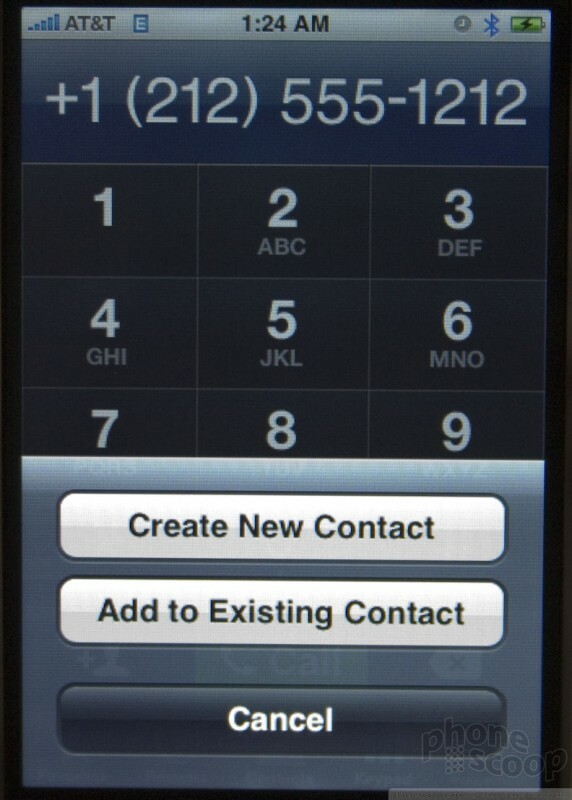 Dialing a number with the keypad is easy as the number keys are each huge. 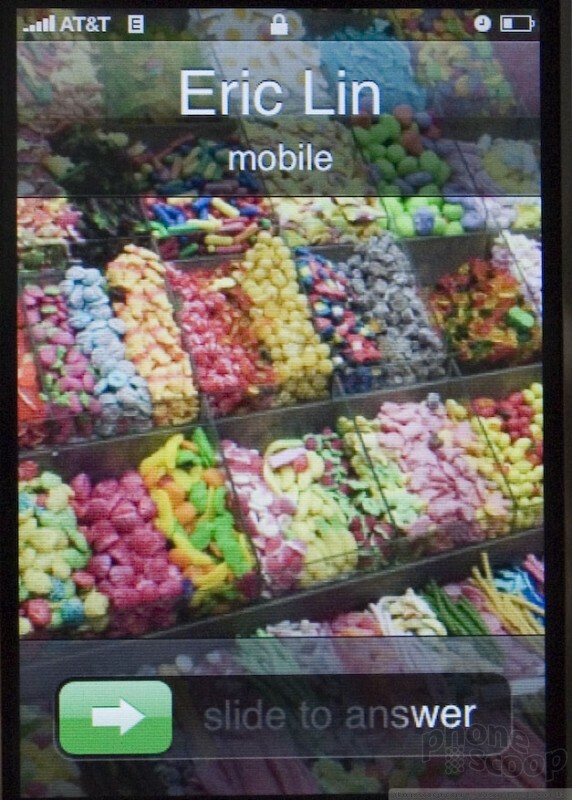 We'll discuss calling your contacts below. 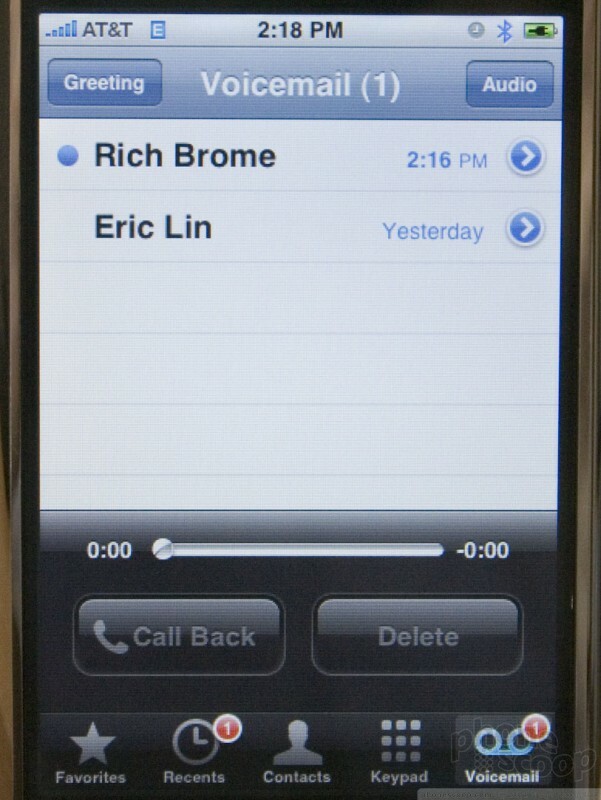 Once in a call, the on screen menu allows you to switch to speakerphone, mute, or manage calls with well-labeled and large keys. 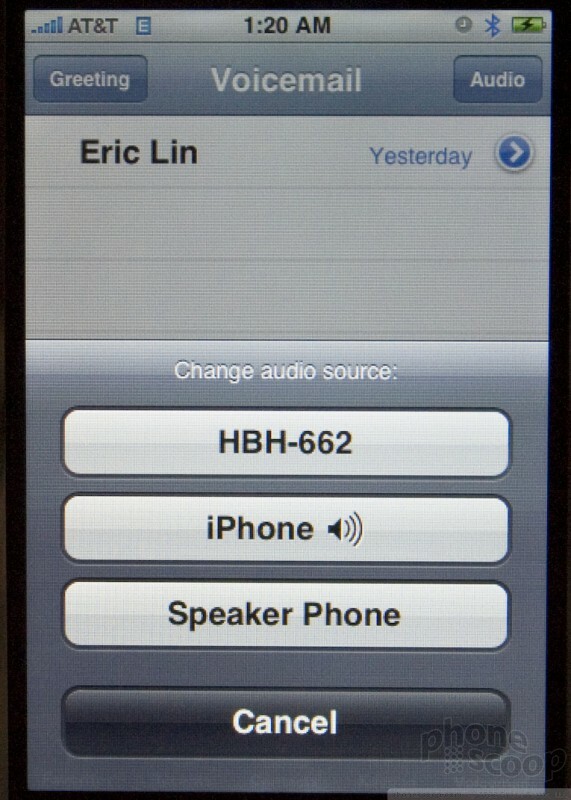 If a Bluetooth headset is connected, a set of buttons is displayed below this allowing you to choose where you'll take the call. 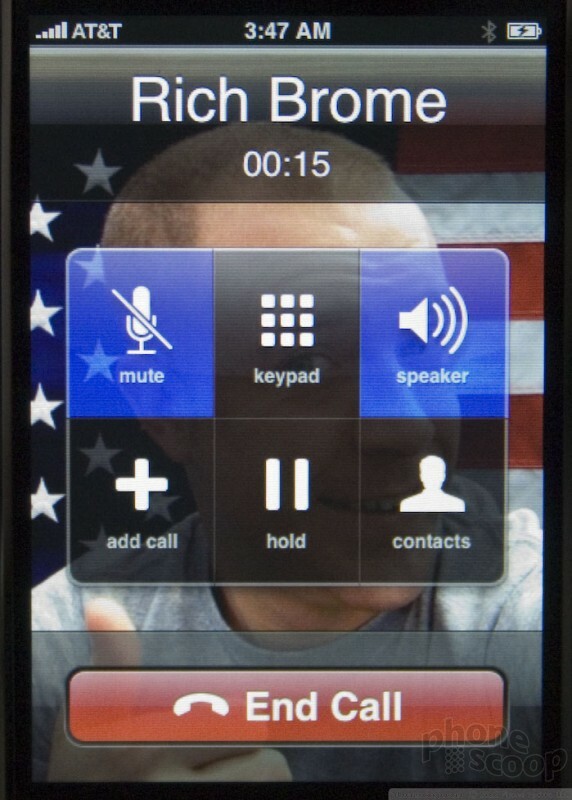 If a call comes in when the iPhone is sleeping, you are shown the caller ID and a slider gadget. 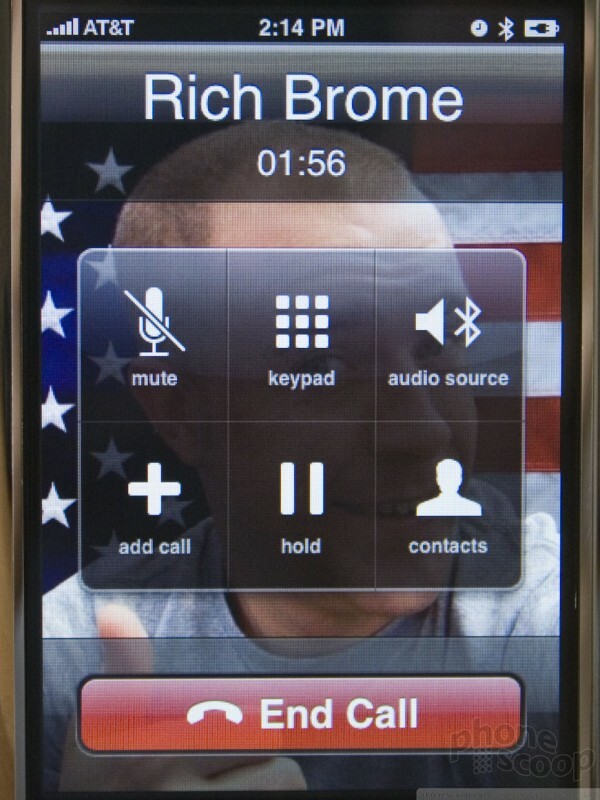 If you slide the gadget, the call is answered and the iPhone is unlocked. 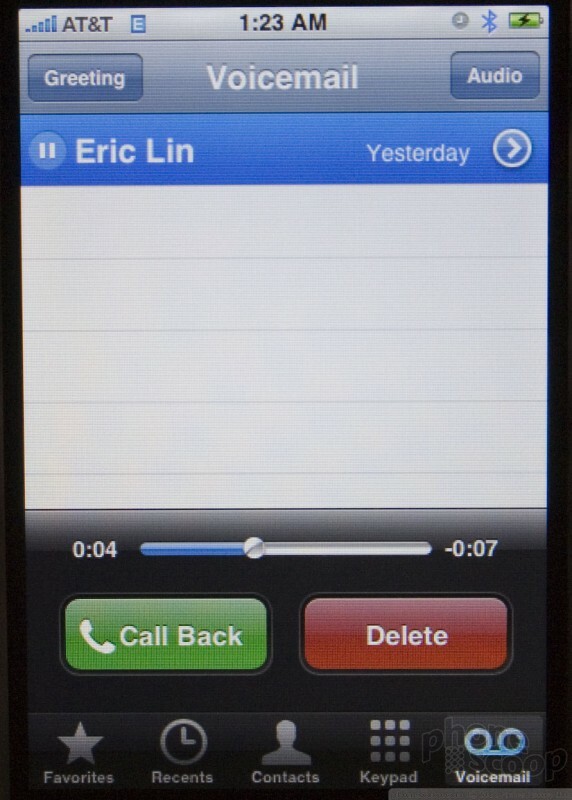 If you want to reject the call, you do so by pressing the sleep wake button. Visual Voicemail is a bit of an adventure. 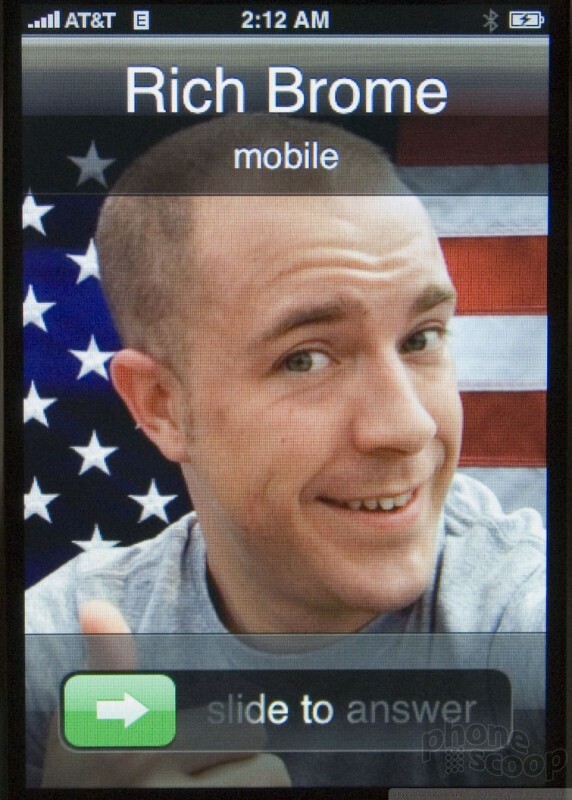 Instead of calling in to set up or hear your messages, it is all done right from the phone. 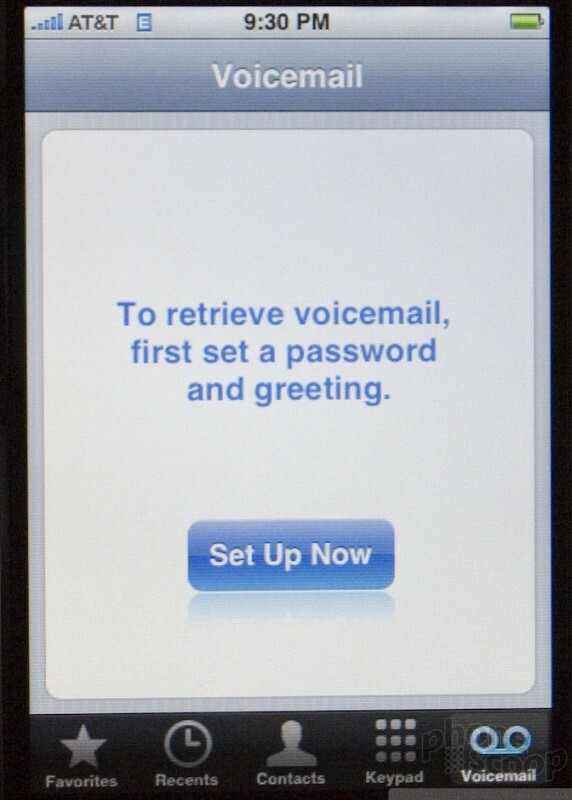 Unfortunately, at no point during the activation or setup process are you prompted to hit the voicemail icon on your iPhone and set it up. Eric L just figured it was automatically set up and felt like an idiot after missing some calls and contacting AT&T customer support only to find he had to do it himself from the iPhone. 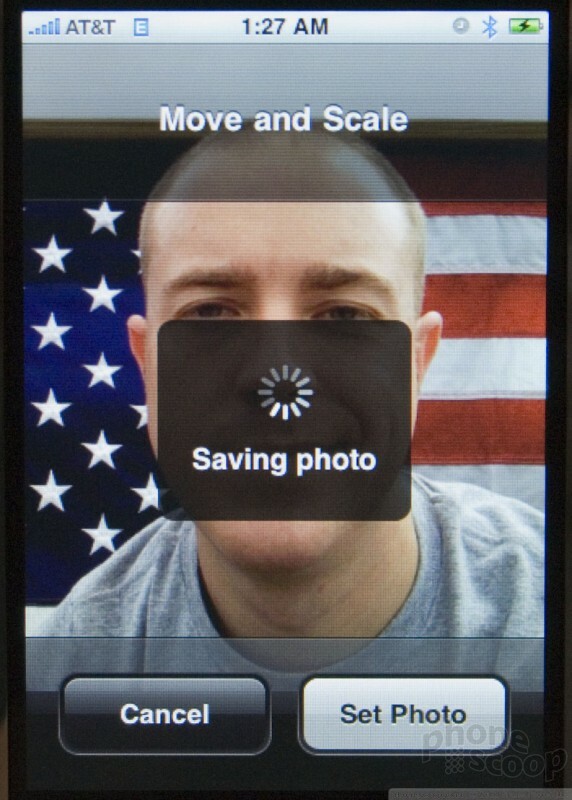 One you know it needs to be done, the iPhone walks you through a very simple setup process. 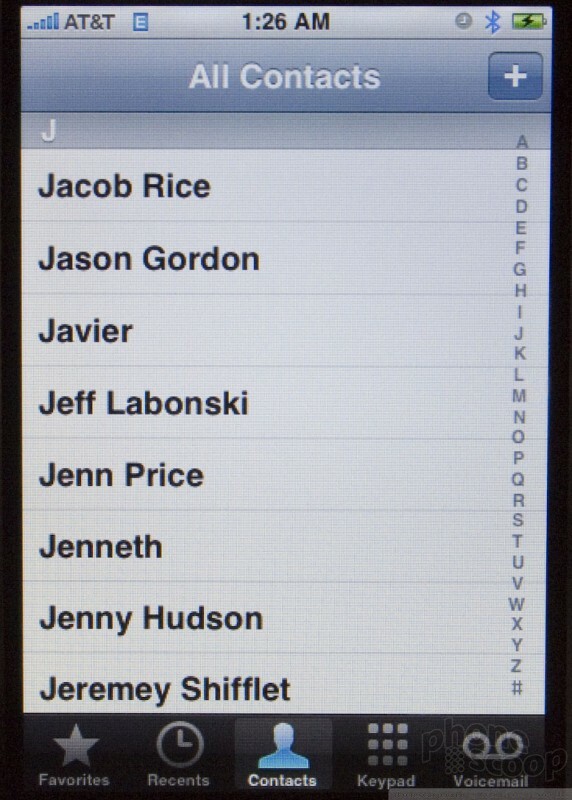 Contacts can be sorted as well as displayed by either first or last name, but not by company. 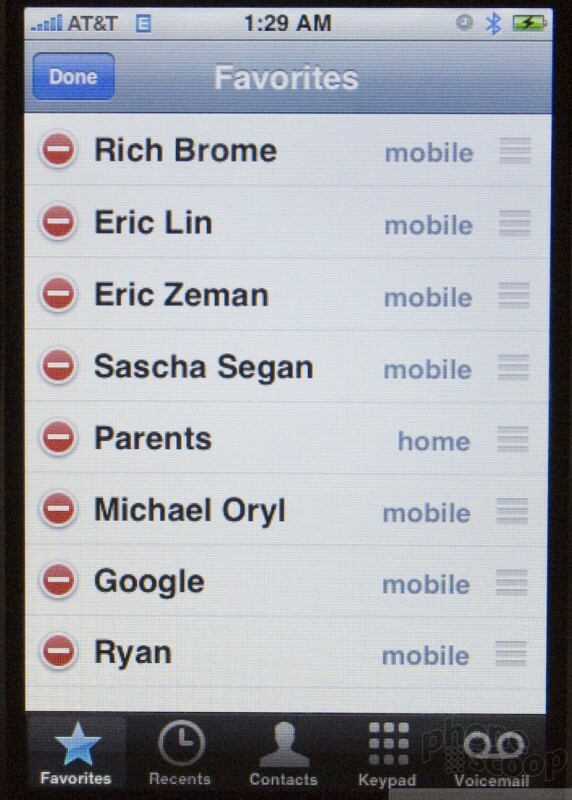 You can flick through the list (flicking is a motion you quickly learn to fine tune, and quickly grow to love) or use the index of letter down the right side like an old fashioned rolodex. 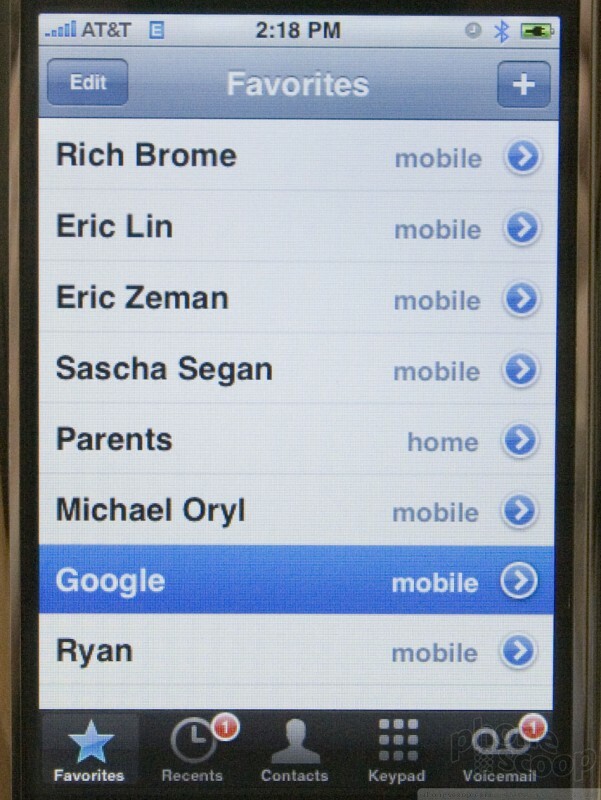 You cannot use the keyboard to search for a name. 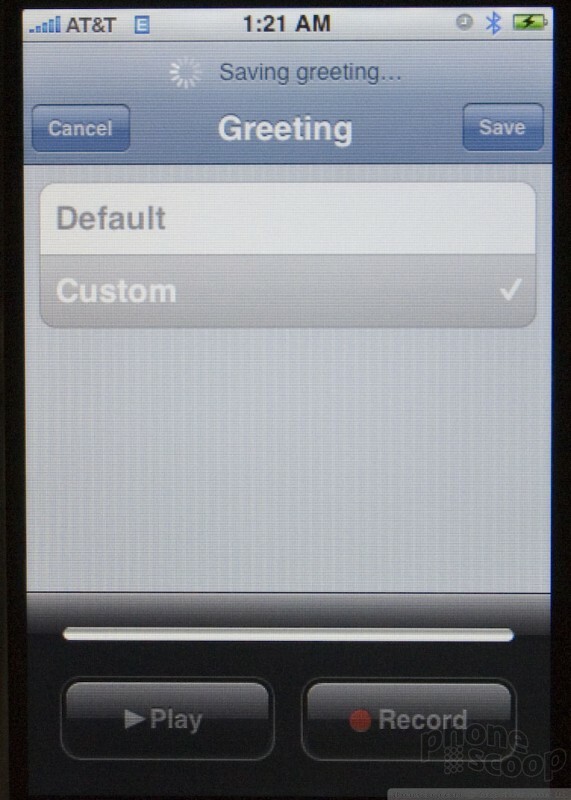 Contact entries hold a large number of phone numbers and email addresses, which initiate a call or mail by simply tapping on them. 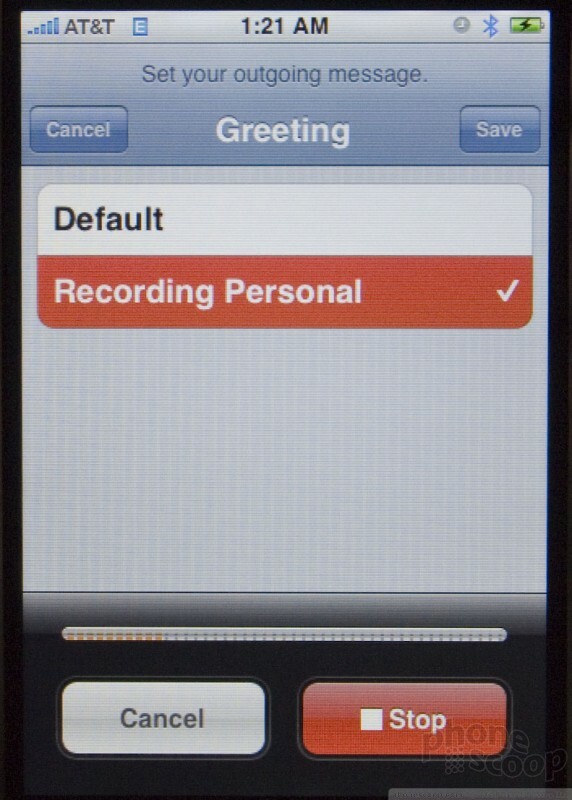 It also holds street addresses, birthdays, notes and other data. 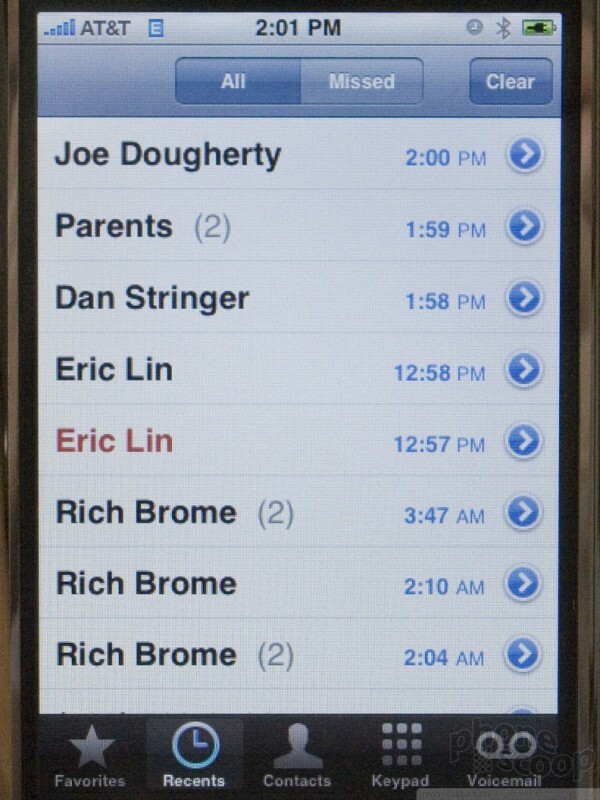 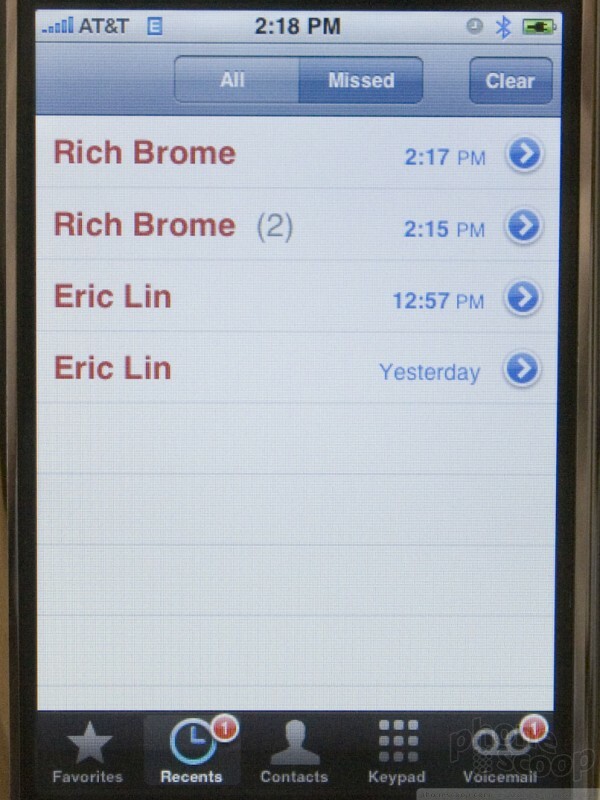 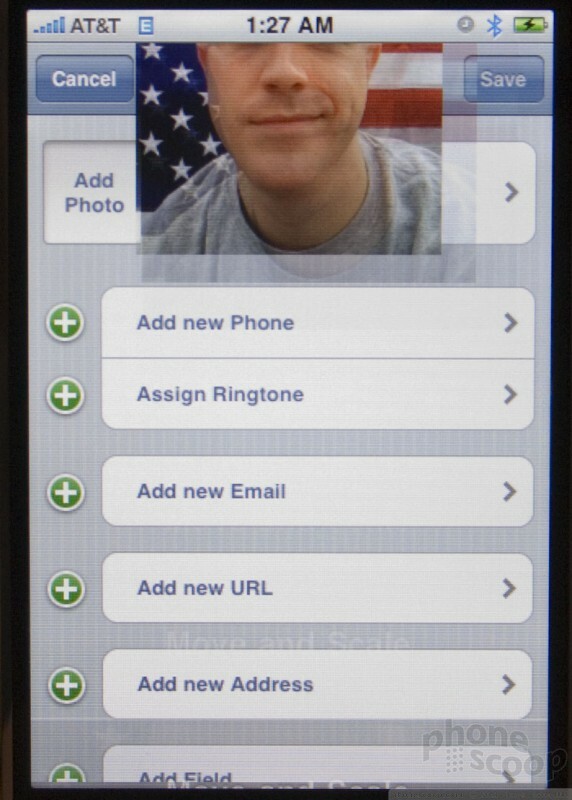 You can also customize the photo caller ID or ringtone for each contact from the edit screen.